Guru gives us one idea at a time, like he's walking next to Big Bird, and Snuffleupagus is on next. Hip-hop for beginners. The first thing I thought of, back in college when I heard Guru rhyme, was Sesame Street. His deliberate, slow pace and his dependable tendency to breathe between each metaphor seemed pedestrian, especially alongside rapid fire emcees like Andre 3000 and Eminem who seemed to pride themselves on cramming infinite messages into each set of bars with the breath control of deep-sea divers. Guru, on the other hand, gives us one idea at a time, like he's walking next to Big Bird, and Snuffleupagus is on next. Hip-hop for beginners. Back then when I shared my opinion that Guru's sound was "basic" and not particularly exciting to me, a schoolmate took it upon himself to school me. Guru, he explained, is not basic, he's foundational. Thus the name Guru; he spits it slow so we get it. He is teaching us something. The Best of Guru's Jazzmatazz is indeed a lesson. An amalgamation of tracks from Guru's ongoing project to place hip-hop in a direct lineage with jazz, the Jazzmatazz project goes beyond sampling jazz to actually creating hip hop with jazz and soul musicians. Guru is emphasizing the dynamism of in-person collaboration, not just post-production synesthesia. This idea of connection via music comes through most strongly when, after the track "Loungin'" with Donald Byrd, we hear both Guru and Byrd respectively explaining how hip-hop and jazz are historically situated art forms, through which they struggle to create something out of nothing. The gravel in Byrd's voice, and the urgency in Guru's suddenly youthful and insistent cadence, belies the context of the song. Music is not about "loungin'" for either of these men, rather it is the work of making another world visible. Unfortunately, the other lesson that this "Best of" album teaches us is that compelling ideas don't guarantee inspiring musical performances. While fans of Kelis, the Roots, Erykah Badu, Bahamadia and Jill Scott may need the tracks they feature on this album to make their mixtapes complete, Guru's voice seems disconnected from the faster paced stylings of his partners on each track. "Plenty", featuring Erykah Badu, is the best example of actually improvisatory chemistry, but "best" actually doesn't say much on this album. 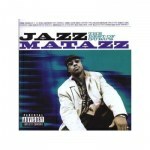 There are internet rumblings that the tracks on this CD don't represent what Guru actually thought of as the "best" tracks that came out of the Jazzmatazz process, and that this was merely an attempt by the label to squeeze a few more sales out of what proved to be a less than lucrative musical adventure. Either way, we can learn two lessons from this project: 1) The relationship between hip-hop and jazz can generate new approaches to music making; 2) A brilliant approach doesn't always produce beautiful music.